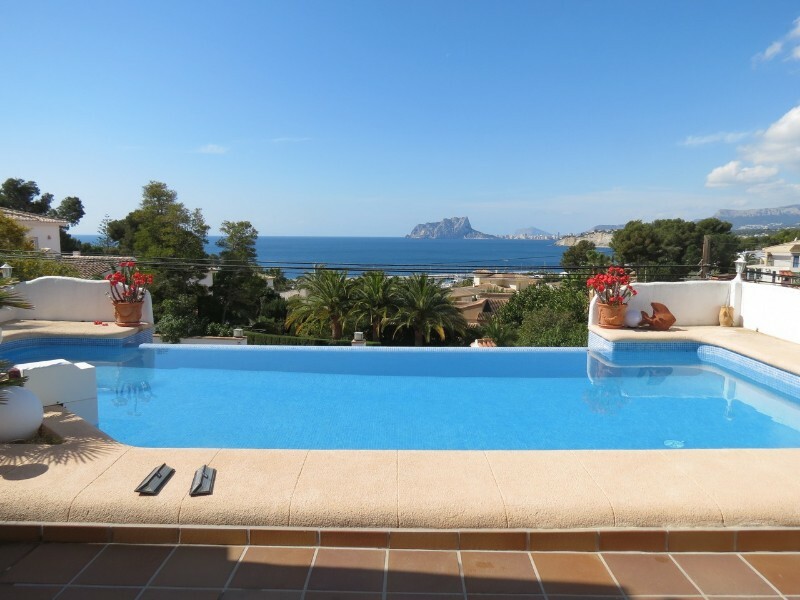 Sea view villa for sale in Moraira. 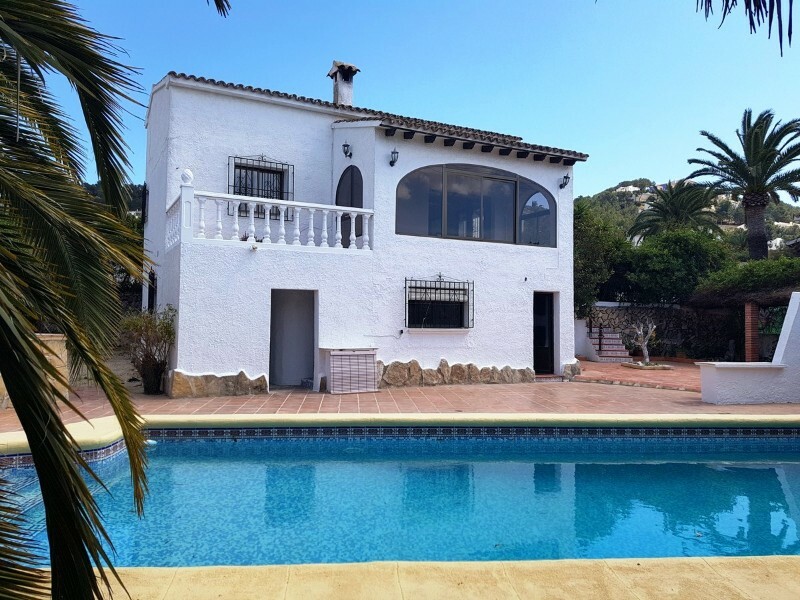 This large four bedroom property is located just a short walk to amenities and a few minutes drive to the town of Moraira. Electric gates open to a large parking area for several cars, on the same level is the entrance to the villa, a porch leads to the entrance hallway and main living area, which comprises of one double bedroom with en-suite shower room, an open-plan kitchen with sea views, a large L-shaped lounge/diner with feature fireplace and double doors opening onto a lovely naya offering views of the Mediterranean sea. Internal stair lead down to the lower level and three further double bedrooms, one with an en-suite shower room, one with a dressing area and a large en-suite bathroom, both these bedrooms have doors leading out to the garden, the fourth bedroom is served by a separate bathroom. The gardens are well stocked and terraced, there is a large shaped swimming pool, a summer kitchen/BBQ. On this level is another entrance to the plot from a lower road and a garage.